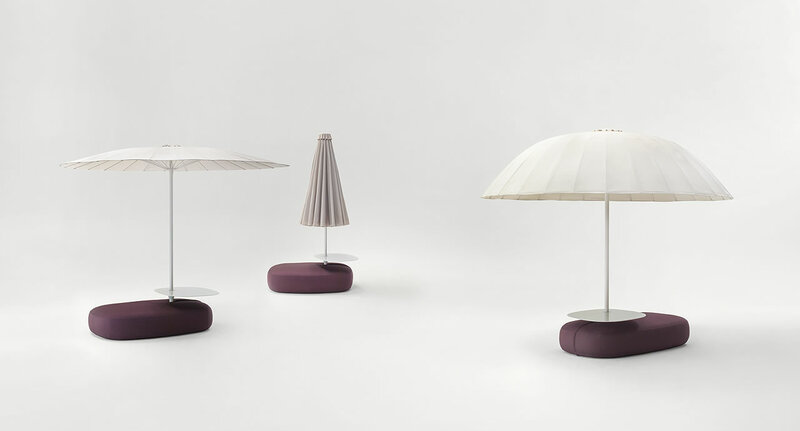 Closable parasol available in two versions, with flat or dome-shaped sunshade. 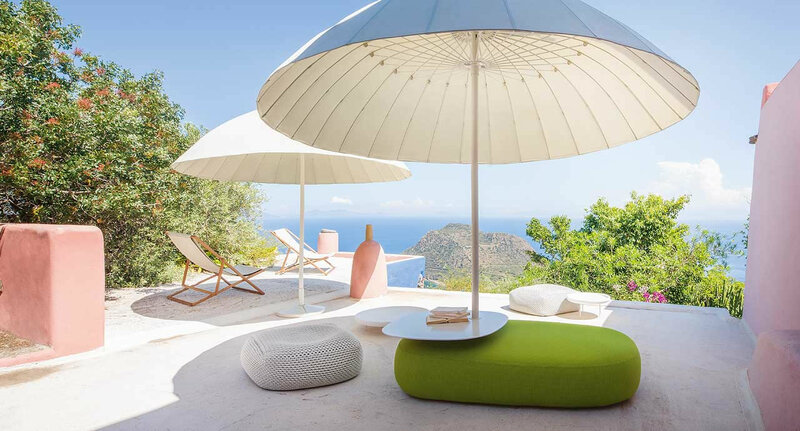 The sunshade can be bent in the desired position thanks to a varnished aluminium hinge. 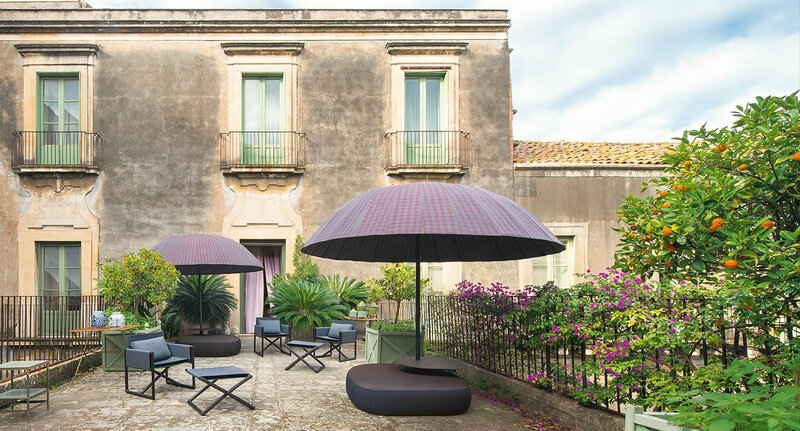 Structure: varnished aluminium available in avorio, grafite, mora, ruggine, sottobosco, oliva or foresta colour; supporting rods made of fiberglass varnished in the same colour of the structure. It is available also gloss varnished in avorio or grafite colour.